Working with a tight budget? These ideas won't cost you a single peso. 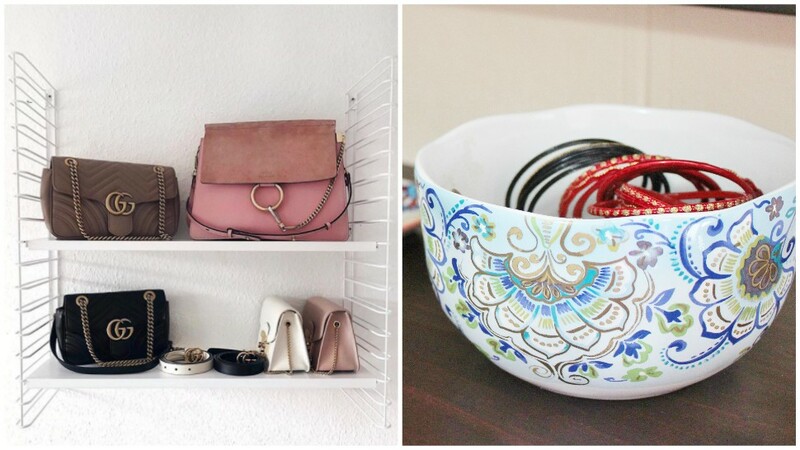 Accessorize your favorite corner of the house with beloved pieces. If you have precious little bags you hardly get to use, take them out once in a while and prop them up among books and other whimsical knickknacks in your library or study. If you have a lot of beautiful but incomplete sets of plates and saucers, use them as handy catchalls for small jewelry pieces like rings, earrings, and fancy bracelets. Leave them on a console table by your door so you can accessorize on your way out. Got pretty skirts that no longer fit? Drape those unused skirts over the back of a chair for an instant color accent. Examples of beautiful fabrics that'll work: bold-colored satin, brocade, damask, and loud graphic prints. 4. Make a bangle bowl. Take a cue from the usual decor of different balls in a large bowl—fill it with your semi-precious jewelry and prop it up proudly on your coffee table. The more varied your baubles and bangles, the better. Make use of the leftover paints you have in your garage and turn an old item into a brand new piece for your home. Adding a simple pop of color to your space can upgrade the look of the entire room, too! A part of this material was inspired by the "RL's Monthly Tip Sheet" from the June 2009 issue of Real Living Magazine. Main photo by @lisaskindoffashion via Instagram and enchantinglifestyle.com.